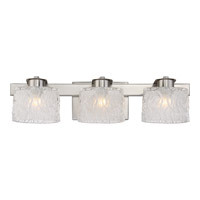 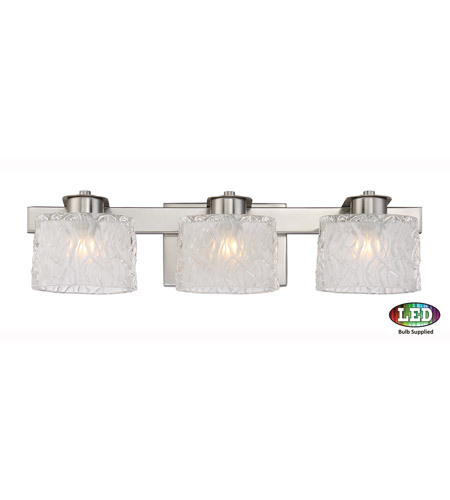 Platinum Collection Seaview - BN Brushed Nickel Finish, Bath Fixture With 3 Lights: With simple styling and unique glass in a striking design, the Seaview bath series is a wonderful addition to Quoizel’s Platinum Collection. 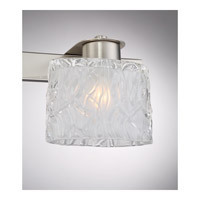 The thick glass is frosted on the interior to diffuse glare and features rivulets of ripples on the exterior for texture and dimension. 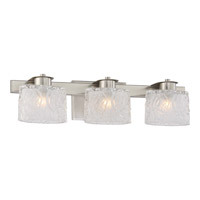 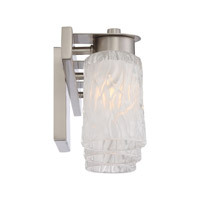 The soft sheen of the Brushed Nickel finish enhances the beauty of the glass.